Is shale gas' ecological footprint really favorable? Asit Biswas and Julian Kirchherr argue that its exploitation requires and pollutes massive amounts of water. New and more rigid regulations are needed to preserve America's water resources. What do Richard Nixon, George W. Bush and Barack Obama all have in common? It is their quest for energy self-sufficiency. Ever since the 1973 oil crisis, America's policy-makers have attempted to decrease its energy dependence. Only now this quest is about to be achieved, though. In 2012, the United States has produced 83 percent of the energy it consumes, up from 74 percent in 2008. It is America's shale gas revolution which makes this huge jump possible. Indeed, the country's oil and natural gas production is increasing at its fastest rate in 50 years, Bloomberg reports. The Bakken formation, one of the country's largest shale gas reservoirs, produced 0.1 million barrels per day in 2007, for instance. In 2012, it produced over one million barrels per day. This rapid growth will continue in the next decade. BP expects North American shale gas production will increase by 5.3 percent annually (on average) until 2030. The world's largest and most modern rig fleet with more than 1,800 rigs in operation creating as much as 484,000 jobs in the American oil and gas industry since 2009 makes this growth possible. The United States is home to some of the most innovative and well endowed oil and gas companies in the world. If current trends continue, America might even become a net exporter of gas by 2017, according to BP. Today already shale gas contributes to one-third of the United States' gas supplies. By 2030, it might provide half. 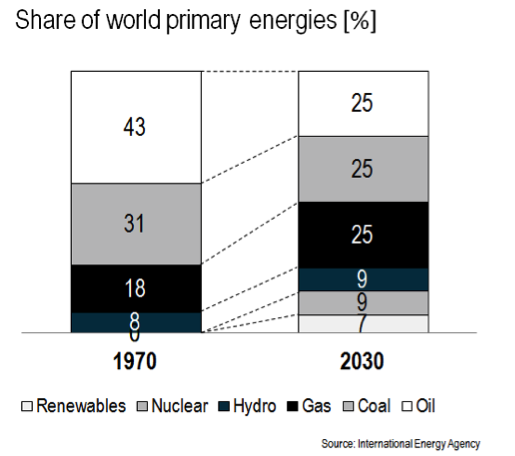 Hence, (shale) gas is the only fossil fuel whose share of world primary energy is projected to increase in the next 20 years, as depicted in the figure below. With recoverable resources of 862 trillion cubic feet, the United States holds the second largest shale gas reserves worldwide, only outpaced by China. Even if gas will be exported, these reserves might allow the United States to power its economy for another one hundred years. Proponents of shale gas claim that it would be a cheap and ecological energy source. Indeed, its CO2 footprint is favorable. Producing one ton of coal also produces up to 2.86 tons of CO2. Shale gas emits approximately 45 percent less carbon per energy unit. Because coal is now increasingly substituted by gas, the United States' CO2 emissions dropped to their lowest level in almost 20 years according to the U. S. Energy Information Administration. However, shale gas' moderate CO2 footprint is offset by its impact on water. Indeed, shale gas is a black hole for water. Exploiting it requires and pollutes massive amounts. Because of this water footprint, France in 2011 banned hydraulic fracturing, the technique used to exploit shale gas. Today, the United States' water resources are diminishing according to 2012 Yale Environmental Performance Index (EPI). Exploiting shale gas may exacerbate these problems. Which role does water play in the shale gas recovery process? To prop open shale rocks and to release the gas large amounts of water, fine sand and chemical substances must be injected under high pressure in the ground. Hydraulic fracturing requires as much as five million gallons of water per well in total according to the International Energy Agency (IEA). Hence, drilling rigs usually sit along reservoirs with water capacities of up to a millions gallon to be able to provide such quantities. The sheer volume of water consumed is not a problem per se in water-rich states such as Pennsylvania. However, it may become a major obstacle in water-parched states such as Texas. With shale gas exploitation exploding the water consumed by Texas' Barnett Shale will increasingly compete with other industries and private consumers. As soon as the gas is released, most of the water is then pumped out of the well and treated. However, this treatment is problematic. First, a range of cases where toxic wastewater from fracturing operations was improperly disposed have been reported. Second, scientists disagree whether it is possible to entirely recycle shale gas wastewater. Because companies do not have to reveal yet which chemicals are injected in the ground, regulators cannot test systematically if the treatment has been sufficient. Injection might also lead to the migration of injection fluids into sources of drinking water. A study undertaken by Duke University evidences that exploiting shale gas may contaminate groundwater severely: Indeed, methane concentrations in drinking water were reported to be 17 times higher within one kilometer of an active shale gas well in Pennsylvania than those farther away. Methane is a dangerous substance. High levels of methane in drinking water make such water flammable posing the risk of house explosions. Breathing and consuming methane has a variety of health implications such as nausea and a feeling of dizziness. In addition, methane is a particularly dangerous greenhouse gas able to trap 20 times more heat in the atmosphere than CO2. Regulators need to step in and internalize such social and environmental costs of shale gas. Only if shale gas prices reflect the true and long-term costs of exploitation, water resources will not be over-utilized and seriously contaminated. However, American regulators have adopted a laissez-faire approach towards shale gas so far. Policy-makers have not kept up with the rapid pace of shale gas exploitation in the past decade. Most state oil and gas regulations currently in place were written before the shale gas revolution. Indeed, the U. S. Environmental Protection Agency (EPA) only plans to propose a comprehensive rulemaking package for shale gas extraction in 2014. The Safe Drinking Water Act (SDWA) specifically excludes hydraulic fracturing from its Underground Injection Control (UIC) program. This means that the chemical 'brew' injected in the ground is de facto unregulated at the moment. The EPA only began a rulemaking procedure under the Toxic Substances Control Act (TSCA) in early 2012 which will require firms to disclose information in the future on what is actually in this mixture. Such rule-making efforts need to be intensified and additional research on the effects of shale gas exploitation on water must be undertaken. In the context of wastewater treatment, policy-makers need to particularly encourage re-injecting wastewater in order to set up closed looped systems. The potential of closed looped system is vast. Through increased reinjection of wastewater average water use per well completion in west Texas has been reduced from five million gallons to 3.6. In addition, companies must reveal which chemicals are injected as soon as possible. Generally, the use of chemical additives must be minimized and more ecological alternatives must be developed. Furthermore, baselines need to be established for key environmental indicators such as groundwater quality prior to any exploitation. Operational data on water use, the amount of wastewater created needs to be disclosed. Currently, states, not the federal government, are mostly in charge of regulating onshore drilling activities. In the future, the federal government needs to step up and take on these responsibilities. If each state adopts its unique set of shale gas regulations, a regulatory race to the bottom is possible. In addition, to attract more investments, states may be too tempted to develop regulations with many loopholes. However, if the federal government adopts rigid regulations, America's shale gas boom may prove to be more environmentally friendly. 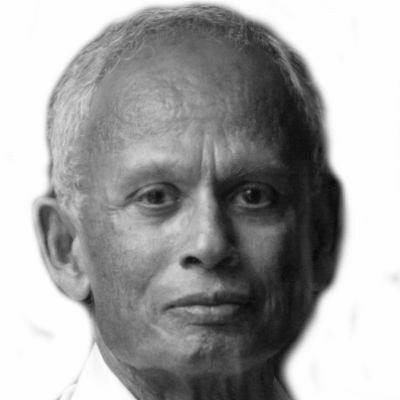 Asit Biswas is distinguished visiting professor at Lee Kuan Yew School of Public Policy, Singapore, and founder of Third World Centre for Water Management. Julian Kirchherr is a research associate at Lee Kuan Yew School of Public Policy, Singapore.